Create some Fun Cards with Spellbinders and enjoy the designs you come up with. It is no secret to the visitors to my website that I love my Spellbinders and over the years I have created some cards that I am really proud to give. 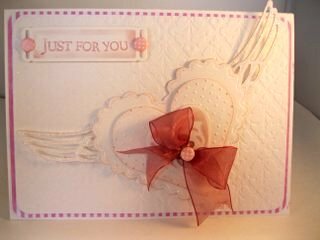 They can be for any occasion, they never disappoint and they can really lift your cardmaking to another level. If you are new to this way of working I added a series of videos that could help you choose some dies. Starting Your Spellbinder Collection was the first and on that page you will find links to many more that will show you how to make the most of the dies in that collection. 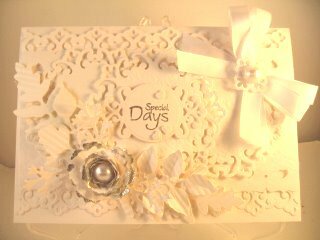 But although you can create some really beautiful cards with the dies that you collect it is no use if you aren't making the most of them. One of the things you need to do is think of other ways to use them and not just in the way they are meant to be used. By that I mean thinking how else they can be used. For instance turn the shapes around. So with this thought in mind I have made a set of videos that will show you how to add the FUN element to card making. And hope fully how to use some of these dies in other ways so that you can extend their use. Spellbinders Door Card is covered in a written format and also a Video Tutorial and in either form they will be easy to understand. I hope you will enjoy these cards and make the most of Fun Cards with Spellbinders. The links to each new page is at the bottom ... click the links to view each one.